Cover potatoes with cold and water bring to a boil. Then cook about 10 minutes, until tender. Add milk, cheese, butter, garlic powder, salt, and pepper. Beat with a handheld mixer. I'll take some mashed potatoes over dessert anyday!!! Butter, garlic and herbs are an absolute must when it comes to mashed potatoes. These look just perfect. 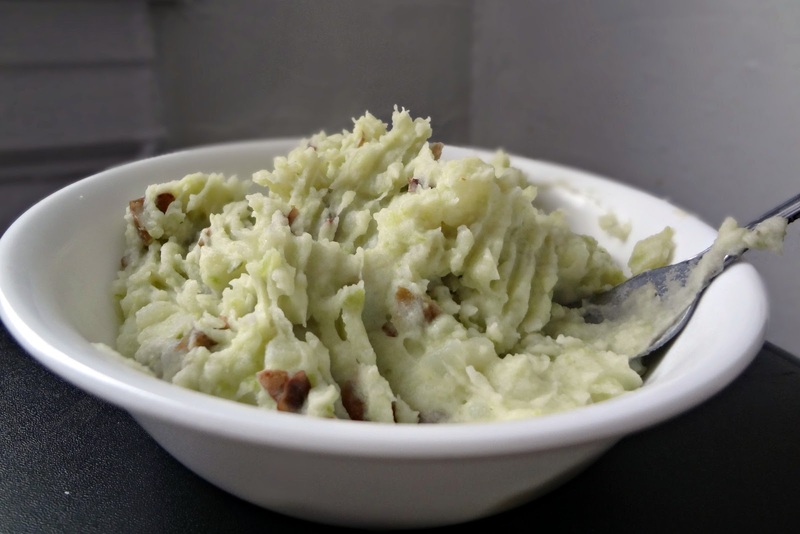 i've somehow never had mashed potatoes with red potatoes - love the idea! I love mashed potatoes! Never tried red though, but I love all of your add-ons! Yum! I guess I have been under a rock somewhere. I have never made mashed potatoes with any other type of potato than the big baking potatoes. I heard that the most nutritious part is the skin. Being that the red ones are smaller, they probably offer more nutrients. I will need to mash those little things and try this. The parmesan cheese and chives do make for some great flavor in your dish. Happy Friday!